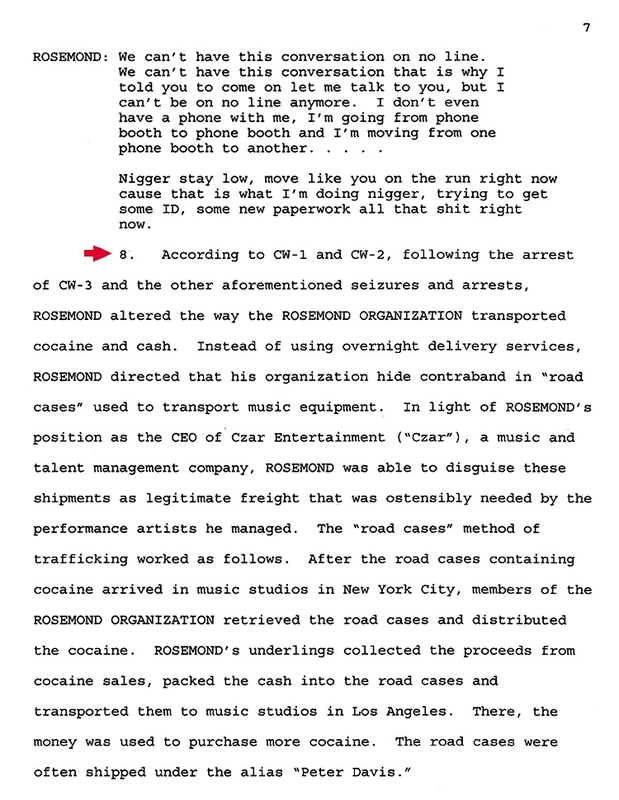 SEPTEMBER 15--Members of a narcotics ring that sent large amounts of cocaine and cash back and forth across the U.S. in music “road cases” arranged pickups and deliveries at the offices of Interscope Records, a music industry power whose roster includes artists like U2, Eminem, and Lady Gaga, according to federal investigators. 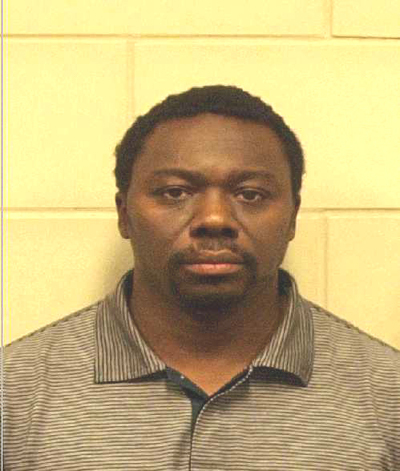 A year-long Drug Enforcement Administration investigation has resulted in the indictment of James Rosemond on 18 felony charges, which could result in a sentence of life in prison for the 46-year-old rap music manager. Rosemond, pictured in the below mug shot, is being held without bail in Manhattan’s Metropolitan Correctional Center. 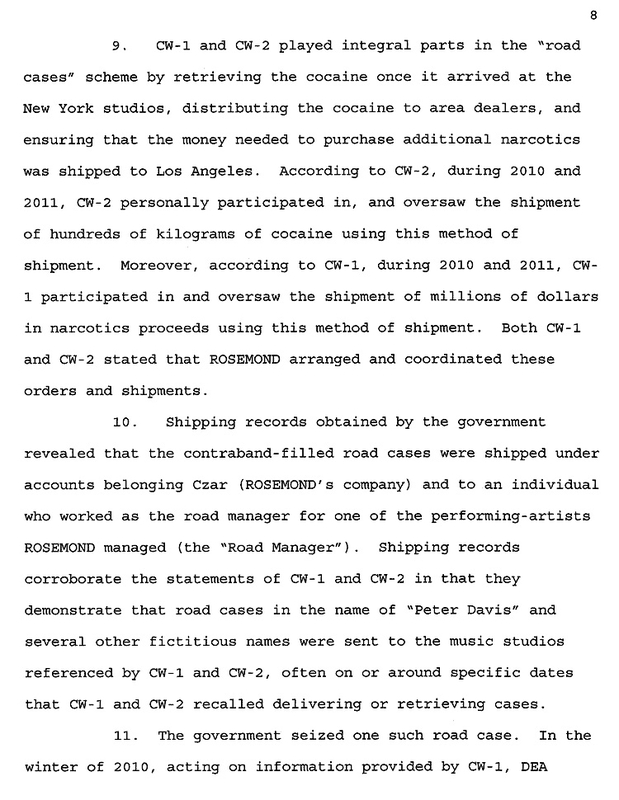 In a letter sent this week to Rosemond’s lawyer, prosecutor Todd Kaminsky disclosed that investigators were turning over an assortment of discovery material that included 65 pages of records from Rock-It Cargo, a large freight forwarder whose client list includes scores of musical acts. 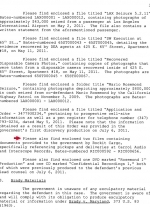 Kaminsky noted that the Rock-It documents were “specifically referencing pickups and deliveries at…Interscope Records” and a recording studio on Manhattan’s West Side. While it is unclear how members of the narcotics ring would have had access to Interscope’s Santa Monica headquarters, Rosemond’s biggest client, Los Angeles rapper The Game, records for the label. 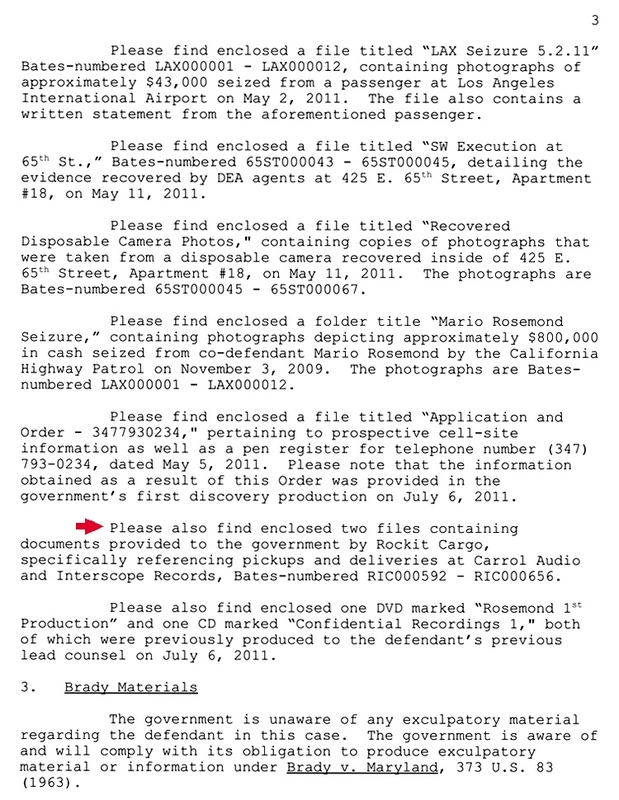 Additionally, TSG has learned, a road manager for The Game (real name: Jayceon Taylor) has been implicated in the bicoastal trafficking ring. Interscope is a division of Universal Music Group, the world’s largest music company. UMG itself is owned by Vivendi, the French media conglomerate. 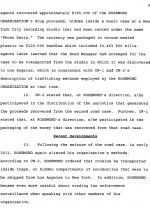 Prosecutors and DEA agents have been provided detailed insider accounts of the drug trafficking ring by former Rosemond associates who have admitted their roles in the operation. 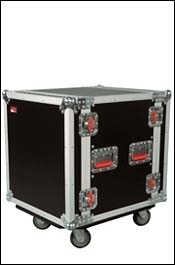 Several of these cooperators have described how they were dispatched to either Interscope or various music studios to retrieve “road cases” stuffed with either cash or cocaine. A key member of the cocaine ring was Khalil Abdullah, a Rosemond associate who recently pleaded guilty to narcotics trafficking and obstruction of justice charges. The 37-year-old Abdullah, who has struck a cooperation deal with prosecutors, has told investigators that, over the past two years, he oversaw the shipment in “road cases” of cash and cocaine worth millions of dollars. 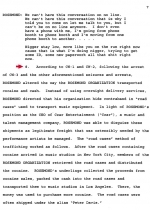 Since Rosemond headed a music and talent management firm, investigators allege, he was able to “disguise these shipments as legitimate freight that was ostensibly needed by the performance artists he managed,” according to a U.S. District Court filing. 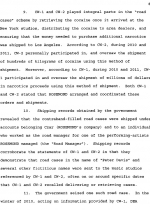 The coke- and cash-filled cases were shipped under accounts belonging to Rosemond’s Czar Entertainment and the “road manager for one of the performing-artists Rosemond managed,” prosecutors added. 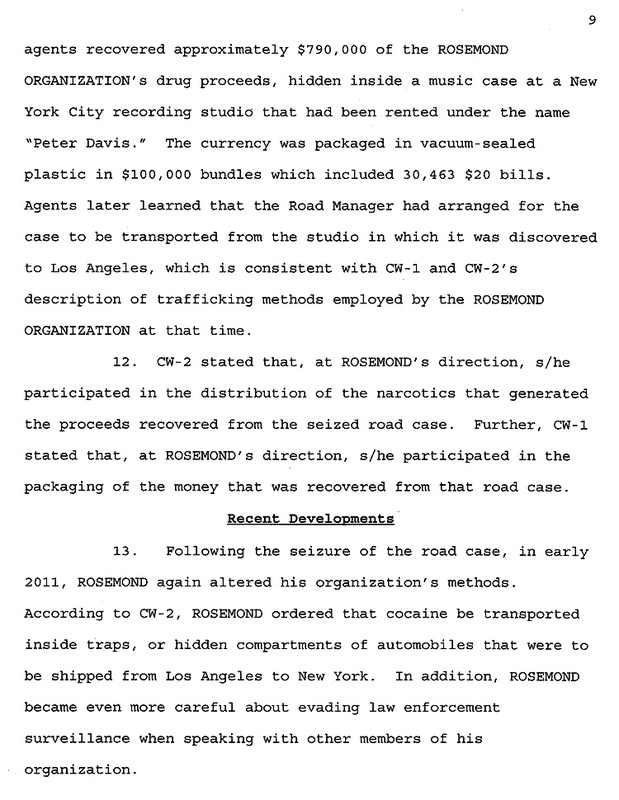 The road manager, a source told TSG, worked for Los Angeles rapper The Game, the highest profile artist represented by Rosemond’s firm.